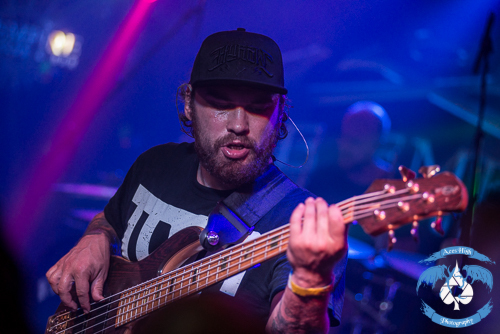 KNAC.COM - Reviews - JINJER In Akron, OH With Photos! 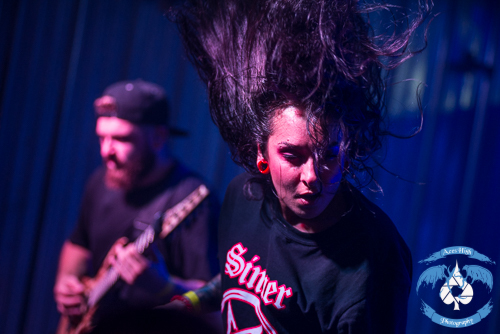 JINJER In Akron, OH With Photos! 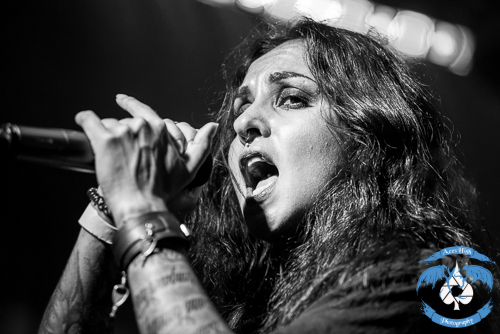 Fresh off of a slew of European festival dates, the Ukrainian metal act JINJER found themselves back in the US to follow up a successful run supporting CRADLE OF FILTH earlier this year. 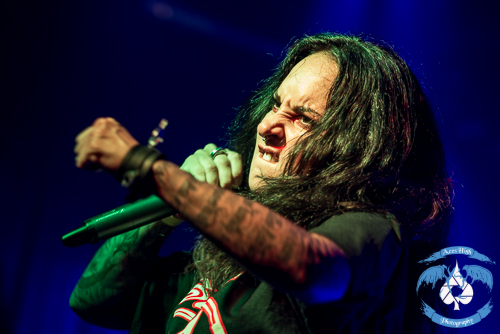 With a newly inked record deal with Napalm Records and subsequent re-release of the group’s second album, Cloud Factory, which was originally released independently, things are looking up for the 2013 and 2016 winner of the Best Ukrainian Metal Act. With their stock rising, it was time to headline a few dates across the Midwest and east coast with several already sold-out, including this one at the Empire Concert Club in Akron, OH. 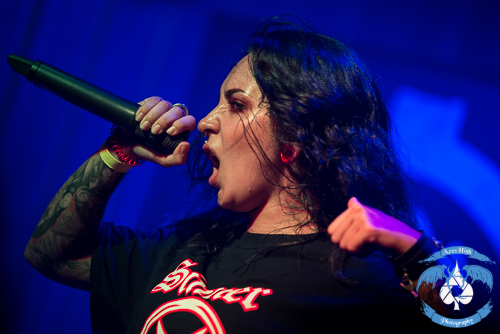 Combining elements of djent, progressive, metalcore and thrash; JINJER has developed a winning recipe of expert skills and exceptional song-writing highlighted by the unbelievable range of vocalist Tatiana Shmailyuk. 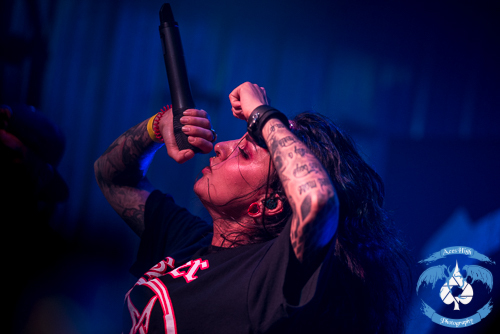 From growls and screams to soulful jazz and beautiful clean vocals; she is an amazing talent that never seems to be off key. Tatiana was the last to head to the stage as the intro music played. 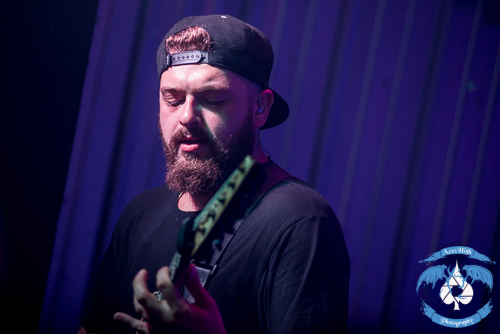 Like controlled chaos, drummer Vlad Ulasevich, bassist Eugene Abdiukhanov and guitarist Roman Ibramkhalilov were all in complete unison and tight as could be all night long. 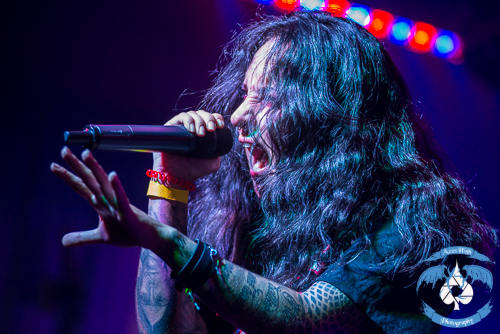 There was little time to address the sold-out crowd as song after song bludgeoned the Empire Concert Club only calming down for the melodic hit “Pisces”, which really satisfies the progressive lovers as does “Bad Water”. 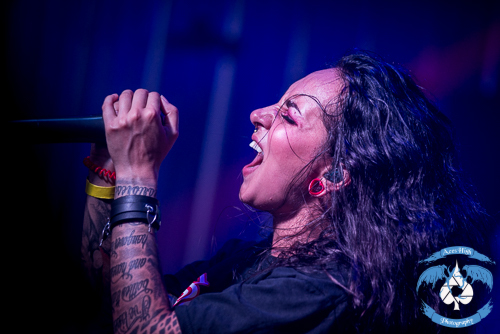 JINJER played through fan favorites across all three of the group’s albums with the vast majority of the audience screaming the vocals right back at them the entirety of the set. The group took notice – especially Tatiana who couldn’t help but crack a smile and motion to her heart at the end of nearly every song. JINJER performed with such emotion and fury that it wore me out just to watch. I cannot put into words just how awestruck I was with the dexterity, perfection and energy to which these songs were performed. It was a straight-up beat down. My ears are still ringing and I am still sore as I write this and yes, it was totally worth it. 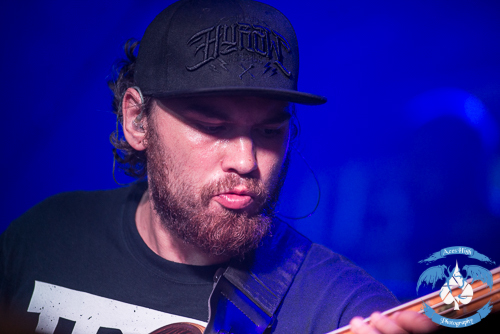 Be sure to check out JINJER whenever and wherever possible.